Motorhome hire is one of the best ways to experience the variety that Europe has to offer. Europe is a fascinating continent, filled with culture and adventure, and motorhome hire allows you to get as close to the action as you could possibly wish. With motorhome hire you can use your motorhome to travel between the beautiful countries of Europe, not limiting your holiday to just one destination. Take your motorhome on a breath-taking tour around the vineyards of France enjoying some of the best wine that Europe has to offer along the way. Then travel into the mountains of Switzerland, and from your motorhome you have the ideal opportunity to appreciate the stunning views that the uplands of Europe have to offer. Drive your motorhome from the deep green forests of southern Germany and Austria into the north of Italy and watch the landscape change through the windows of your motorhome as you follow the sunshine down the coast to Italy’s southern tip. With a motorhome your holiday route is your choice, allowing you to focus your holiday on the areas of Europe that you have always wished to visit. Traditional European holiday destinations such as France, Spain and Italy can really be appreciated in all their splendour with the flexible accommodation that a motorhome gives you. 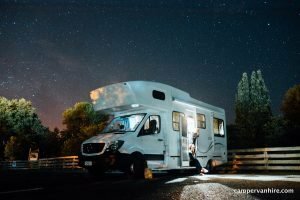 Or you can use your hired motorhome to travel slightly further afield in Europe, perhaps driving to some of the Eastern European countries of Slovenia, Slovakia, Hungary, or Estonia. If you are looking for an adventure then plan a route up through Bulgaria and Romania and into Hungary for a less-travelled motorhome experience. Motorhomes can be a wonderful way to enjoy the natural landscape in any weather, meaning that a motorhome holiday is the perfect way to explore the changing climates of Europe. Drive your motorhome along the sunny coast of Spain in the summer months or enjoy the Christmas markets of Germany in the winter months, all from the comfort of your hired motorhome. In terms of cultural attractions Europe is a continent that cannot be beaten. Packed into a relatively small square mileage, the sites of Europe are perfect for motorhome sightseeing. In every country of Europe there are incredible cultural artefacts, steeped in history to be enjoyed from your motorhome. From the antiquities of Greece to the amazing art collections of Paris and London, Europe has the power to draw travellers from all over the world. If the art galleries, theatre, opera and museums of Europe hold no draw for you, then you cannot but be impressed by the incredible natural beauty of the continent. Europe is not only a place of culture and history but also a leading world destination for outdoors sports and activities, meaning that motorhome hire in Europe offers something for everyone. Whether you are taking a family holiday or a well-earned break with friends, Europe is packed with incredible holiday opportunities, and motorhome hire allows you to experience these to the very full.